Brand development and marketing support — Consumer Goods | Greenville, S.C. 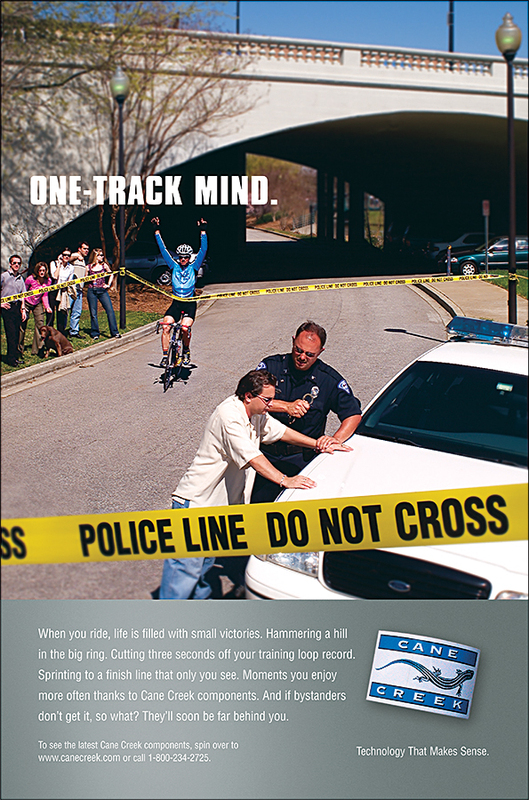 Located in Western North Carolina, Cane Creek Cycling Components started in 1974 hand assembling headsets. Over the years the business has grown to include almost every component needed to perform at the highest levels in the industry, developed and assembled by riders who rely on them every day. We were fortunate early in their growth and at a critical time when retail channels started to see, and intern demand a higher level presentation of packaging and brand for their consumers. What started as some initial brochure collateral grew into packaging, trade show exhibit, and advertising support. In developing the custom designed booth we worked closely with their production team who already had the experience and tooling to handle much of the fabrication that integrated seamlessly with the hardware and products they produce in-house currently. Some of the larger more custom elements and material production came through brainstorming and collaboration with Optika Scenic Works. The overall exhibit hit home with the audience, showing the same level of high-end custom production and technical presentation they are known for throughout their ever growing product line. We are proud to have worked with such craftsman at Cane Creek Cycling. Fabrication concept sketches and site visit. Cane Creek wanted a booth unlike any others at the show and asked about a custom design. We gladly facilitated and began to concept options that would leverage a unique mounting system that coincided with bike tooling and mounting systems. Below is a sample fabrication proof-of-concept visit. As part of the overall brand campaign we developed ads based on the sole dedication of the individuals that have the passion and singular focus on their equipment and the lifestyle. 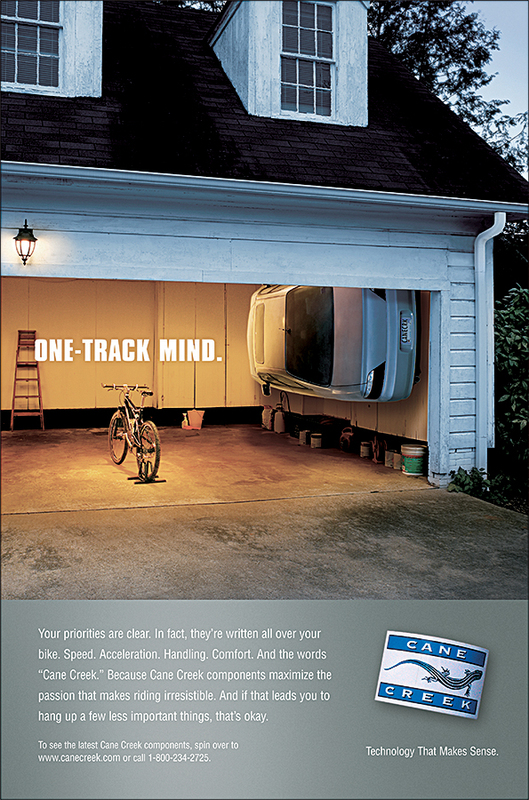 We used the line one-track mind as a play off the single-track category and exaggerated that intense focus on common day life.